I want to be a child again! Hamleys of London has been the Finest Toy Shop in the World, bringing magical experiences and joy to children and also adults like us. Ohsem!!! finally Hamleys London Toy Shop is now in Malaysia; with its first flagship store that spreads over 20,478 sq ft at One Utama starting 30th of Nov 2013. 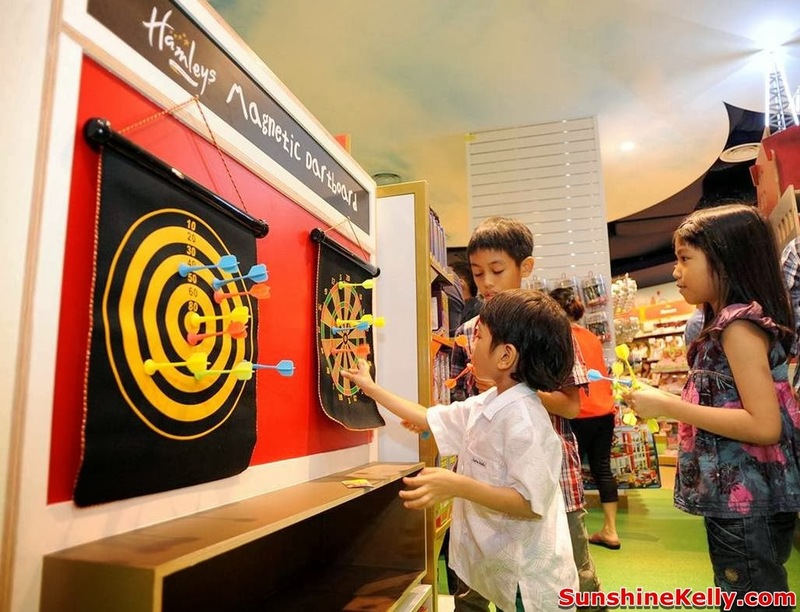 Hamleys Toy Shop now in Malaysia. 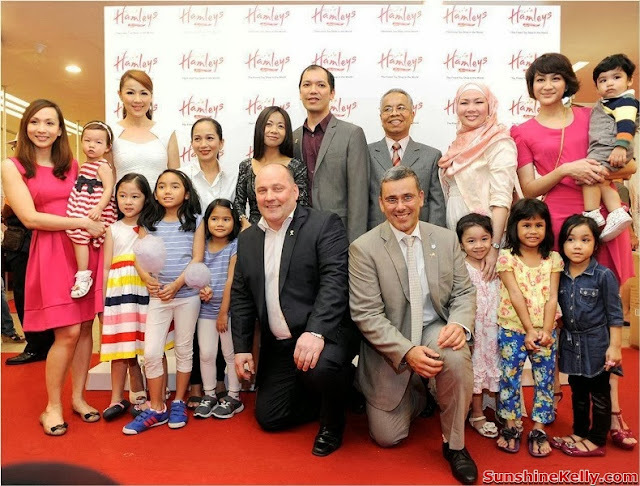 The Group Deputy Managing Director of Ludendo Groupe, Mr. Rudolph Hidalgo, Chief Executive Officer of Hamleys, Mr. Gudjon Reynisson, Acting British High Commissioner to Malaysia, Mr. Ray Kyles, Ms Helen Barnish, International Director of Hamleys, and YBhg Dato’ Teo Chiang Kok, Director of 1 Utama Shopping Centre are present together with Chairman of GRV Toy Store Sdn Bhd, Dato' Ishak bin Osman and Directors of GRV Toy Store Sdn Bhd, Mr Kim Manaf, and Ms Noor Azlin to officiate the first Hamleys flagship store Hamleys’ rich history began with William Hamley, a Cornishman from Bodmin, England. In 1760, the first Hamleys store was opened in Holborn, London and in 1881, it was moved to Regent Street. Today, Hamleys’ flagship store in London has thousands of toys across 7 floors with over 40,000 different toys. 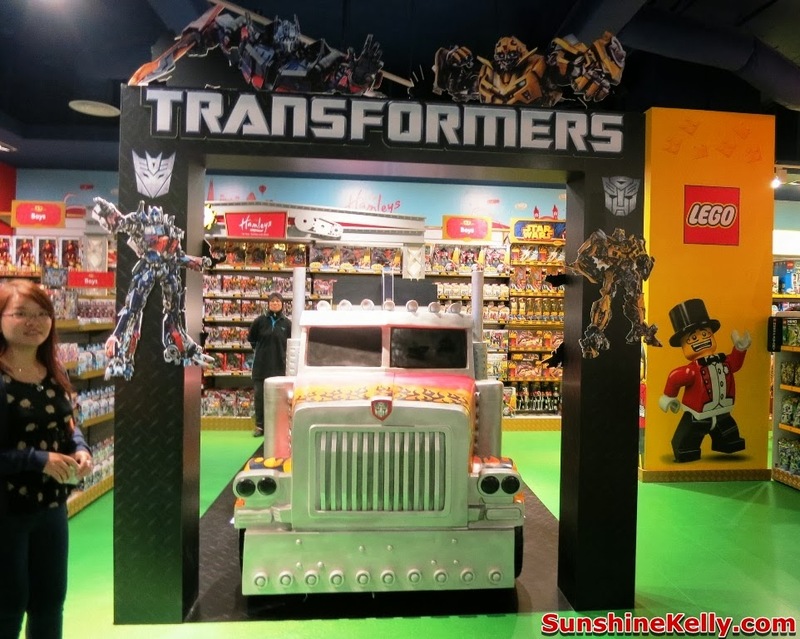 As a trusted worldwide brand, Hamleys promotes customer loyalty and brand growth through its unique approach to retailing, including in store entertainment, toy demonstration, colourful and engaging store design combined with fantastic Hamleys own brand toys. 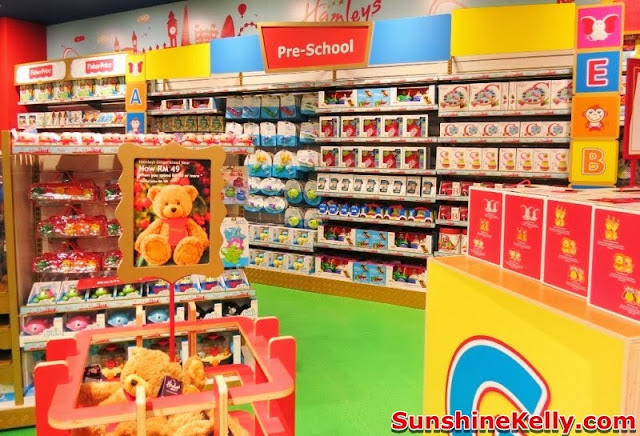 The toys available in the store do not only appeal to young generation, it also caters to collectors and hobbyist who has interest in modern traditional items such as train sets, Barbie dolls and board games in Hamleys. This encourages children to play together and develop qualities such as leadership, problem-solving and creates stronger bonds between family through participation and learning with games and toys. 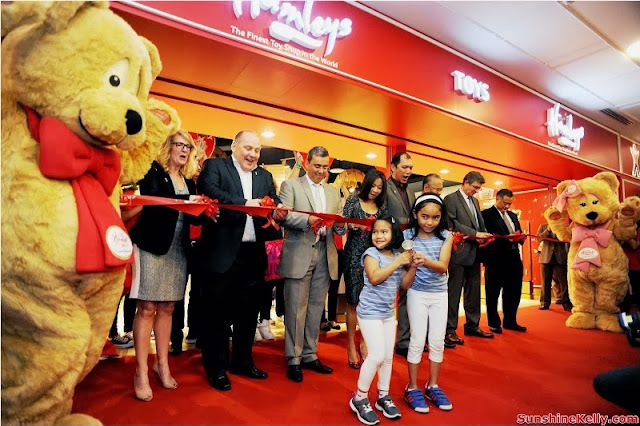 The popularity of Hamleys toyshop, besides giving customers a fun and unique in-store experience, is contributed by their commitment to toy safety. All the toys are functionally and laboratory tested in order to comply with the relevant Toy Safety Directives. Hamleys also uses recycled materials for the packaging to reduce the environmental impact whenever is possible. 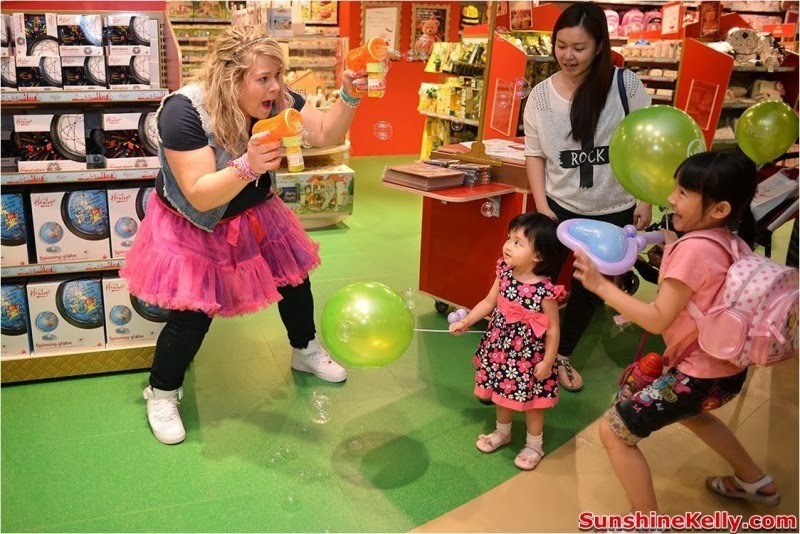 The types of toy available in Hamleys are arts & crafts, actions toys, build it, dolls, games, outdoor, preschool, soft toys and vehicles. The brands you will see in-store are Hamleys own brand, Marvel, Star Wars, Transformers, Nerf, Hotwheels, Max Steel, Disney Planes, Disney Princess, Megablocks, Sylvanian Families, My Little Pony, Littlest Pet Shop, Baby Alive, Monster High, Barbie, Teenage Mutant Ninja Turtle, Playskool, Fisher Price, Furby, Leao Frog, Thomas & Friends, Tomica, Play-doh, Hornby, Hasbro Gaming Upin & Ipin. 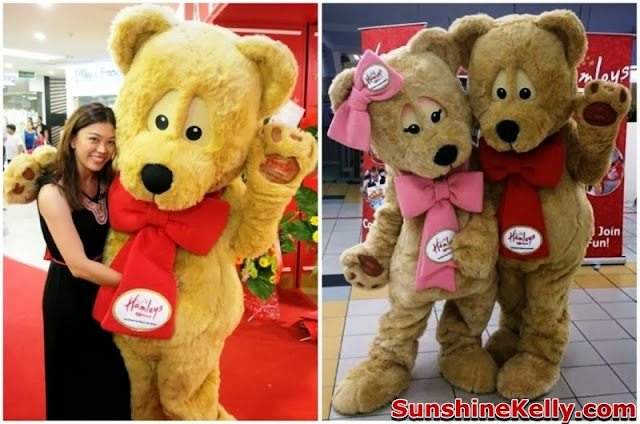 The Hamleys flagship store is located in 1 Utama Shopping Centre, Lot F319, 1st Floor, No.1, Lebuh Bandar Utama, Bandar Utama Damansara, 47800 Petaling Jaya,. Selangor Darul Ehsan. The opening time is 10am to 10pm daily.